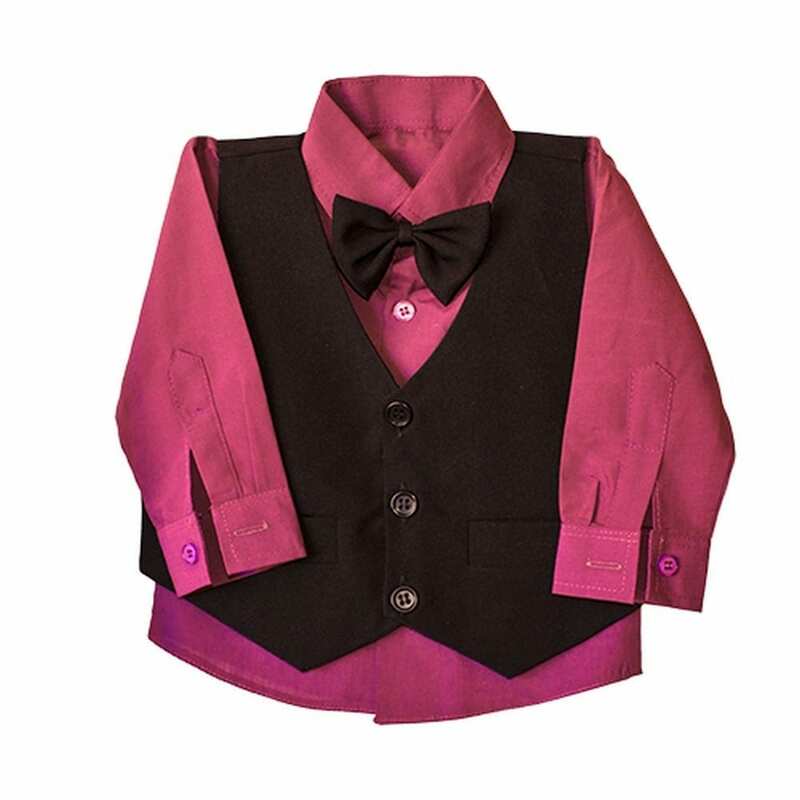 CLASSIC 5-PIECE BOYS SUIT: The timeless, classic pieces of boys’ suits have been refined and redefined to combine innovation with classic elegance. BOYS COLOURED SHIRT: Out with the classic white shirts, in with a splash of colour. The trend of having the boys shirts match either the bridesmaids dresses or the décor is big. 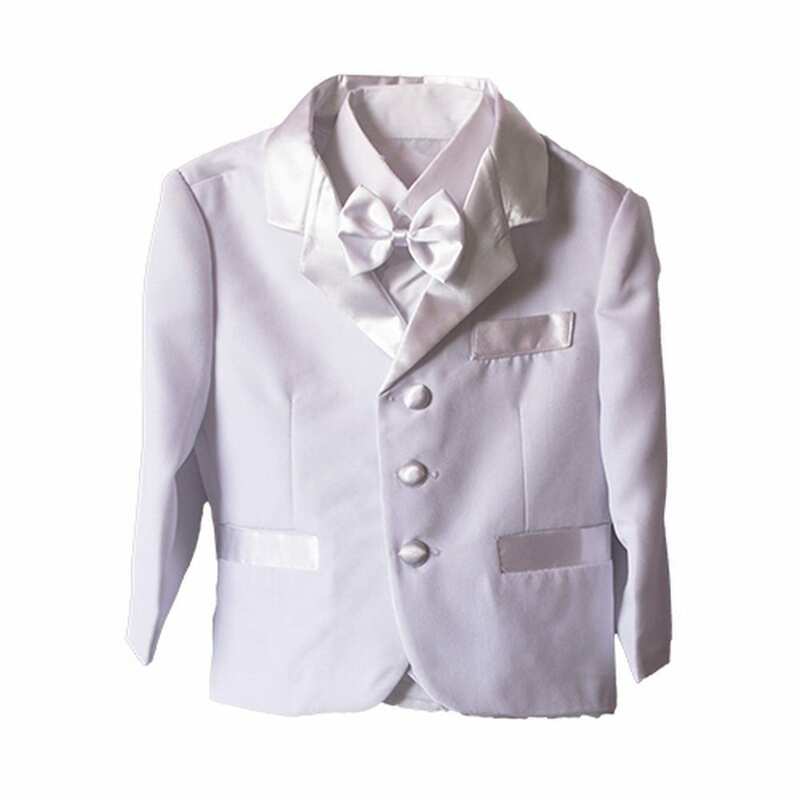 MODERN WHITE TUXEDO: Who says only the bride can wear white? The trend of an all white wedding has become quite popular with everyone in the bridal party wearing white. 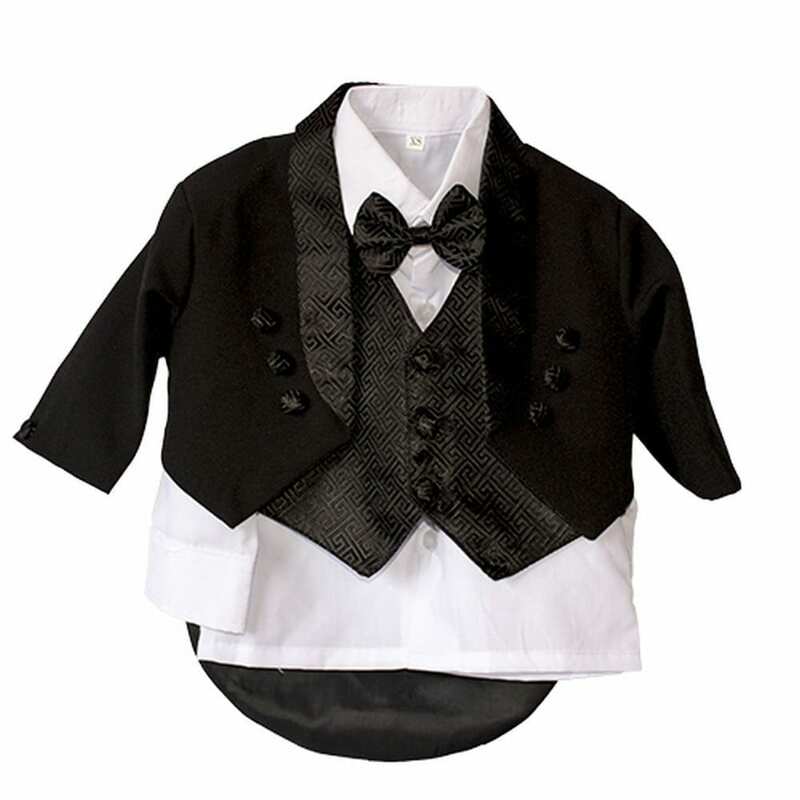 CLASSIC BLACK TUXEDO: How adorable would he be in a perfect black tuxedo? 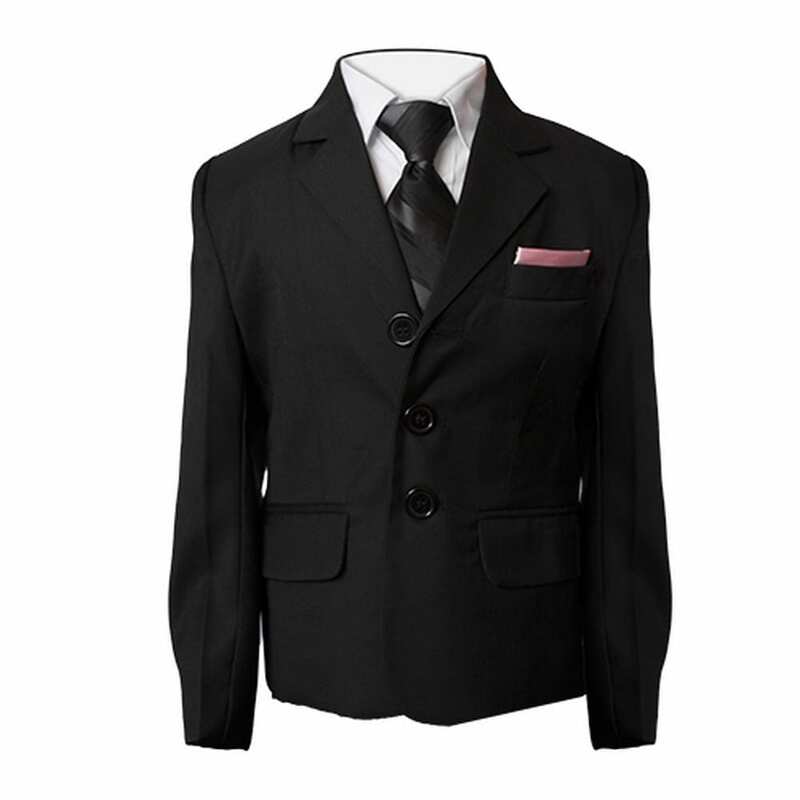 Ideal for an old Hollywood feel or any black tie formal wedding.